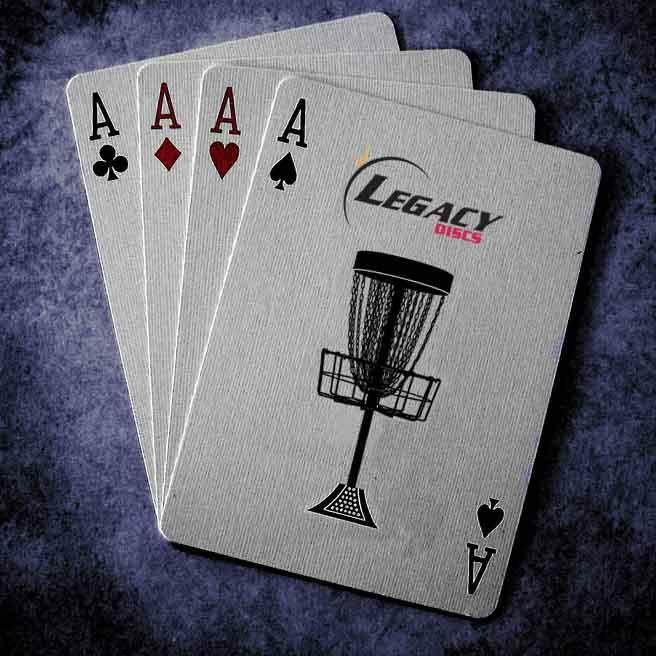 A â€œBattle of the Acesâ€ is a great way to introduce disc golf to your area or take a break from tournament play. Each player receives a package with everything needed to play in a battle or take to a disc golf course. Players have fun running at the chains for aces. The person with the most aces wins! Everyone that attends a Battle of the Aces event will receive a playerâ€™s package which includes two UNRELEASED premium discs, lanyard, koozie, mini, sticker, a PUTTER and a discount code to Disc Golf Black Market. Over $75 worth of product for only $30! The winner for each Battle of the Aces event will receive 9 discs, a hat, towel and a bag. This event will feature 2 rounds of a 20 hole shortened hole layout. Each competitor will get one throw at each hole using the discs from the players pack and will be scored using metal hits as one point, and aces as 3 points. In the event no aces are hit or there is a tie, metal hits will be used as the tiebreaker to declare the winner. There is only 1 division for this event, and one winner, per Legacy Discs's rules. Side game such as CTP and Ring of Fire will be included for the chance at winning some extra goodies. This should keep all holes between 150-275 feet, which will increase the chances at aces for all competitors. Please note, this may change depending on course conditions, as "Safety First" is an underlying rule at Sims Park Disc Golf Course. Any questions or suggestions, please message me or post a comment on the event page.